As Orkut started dying, due to the sudden growth of Facebook, Many of users naturally shifted to Facebook, and again when Google introduces their new social network called Google+, most of people including die hard fan of Google [ me too ] shifted. So Google introduced an option to transfer photos from Orkut to Google+. ( click here to know how). But its quite risky job to download all pictures from your Facebook albums individually, or collecting photos from your friends profile. Today, we are introducing to you a new simple application. By using such an application, Can download all the photos just by a single click. 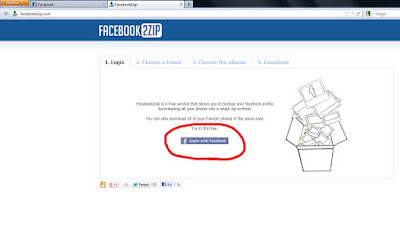 A Facebook application which is in a site 'facebook2zip.com' is used for the above purpose. Before going on to the application, logged in to the facebook. How to download Facebook Albums? step by step guide. 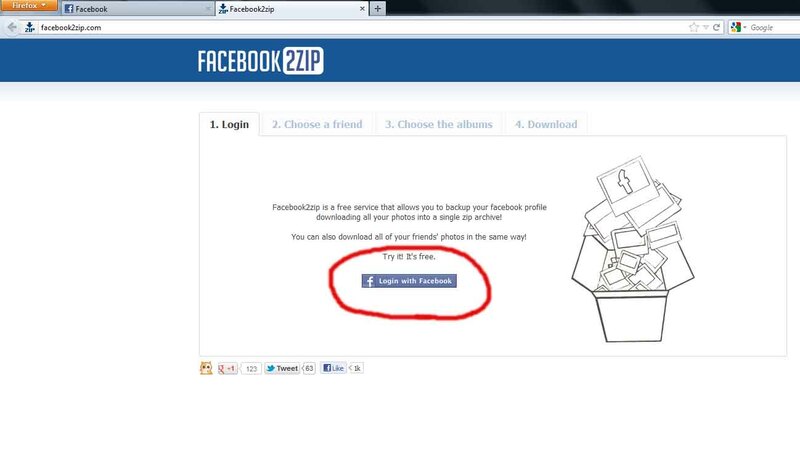 1) Click on the button 'Login with Facebook'. 2) Now Choose a friend on your list, or select yourself. 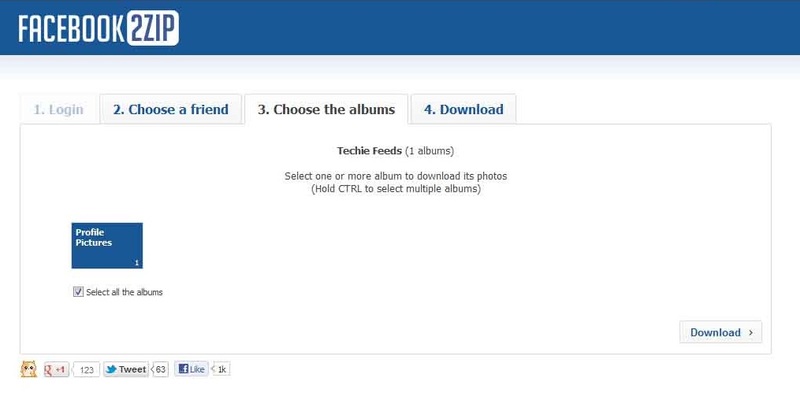 3) The third step is to select the albums you need to download. We selected the profile pictures Album you may have many to download. 5) The selected albums should be downloaded to your hard disc where to the location selected on the download window.